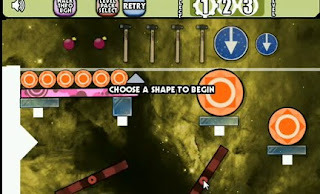 Imperfect Balance 2 is the second installment for its series of physics based point and click puzzle game. This time, there a lot new levels to test your skills. Pick up blocks with mouse and rotate them using left or right arrow keys. When you cleared the playfield. you'll get a perfect strike rating and 5 extra points. Just like its predecessor game, Imperfect Balance 2 is equally fun with enough difficulty. Anyways, here are some videos of Imperpect Balance 2 walkthrough we've collected to help you out if you got really stuck on it.